A properly constructed dashboard can make the difference between a good company and a great company by transforming large amounts of data into real-time, actionable insight into its performance. Dashboards incorporate predictive analytics to spot trends that otherwise might remain buried in data. These real-time reporting capabilities provide vital business acumen that facilitates agile, quality decisions. Dashboards are business intelligence (BI) applications/user interfaces that collect and present information in a simple, easy-to-understand format. By definition, dashboards are multifunctional, which means that they must both collect and present data effectively. Creating a dashboard that will be beneficial to your organization requires four carefully planned cornerstones: audience, type, format, and metrics. Never underestimate the importance of your audience. 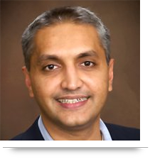 Are you designing your dashboard for corporate management? The sales organization? Customer support? No one will have any use for a dashboard that is highly efficient in collecting data if he or she cannot access or make sense of it. The best dashboards provide clean, streamlined user interfaces while ensuring that data is well organized, uncluttered, and related data are presented together. Operational – This type focuses on the operational aspects of a business. It requires real-time, up-to-date information for the most accurate monitoring results. Strategic/Executive – This type will almost always supply high-level KPI information for company executives to review for a specified time range. Collected data usually includes profits, expenditures, and division rosters. Analytical – The main purpose of this type of dashboard lies in giving users drill-down capabilities. In other words, the ability to investigate the full range of data in-depth to glean deeper insights. Try to describe the structure or design of the best dashboard you have ever seen or used. If you are having trouble, that is precisely the point. 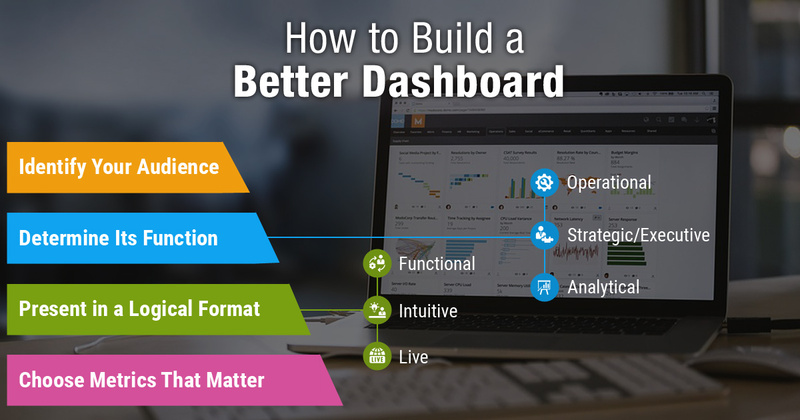 Great dashboards deliver the data in a format that demands a low cognitive load. In other words, you don’t have to be a rocket scientist to understand them. Functional – Clearly communicates information and assists in achieving goals. Intuitive – Presents easily understandable information at a glance. Live – Provides automatic updates using real-time data. It may be tempting to try to measure and display everything. Deny that urge. You need to judiciously select only the relevant metrics. Use color or white space for differentiating information from an adjoining area. Do not use data that is too granular on your dashboard. If it is necessary to include it, allow users to drill down to it. Finally, maintain the data displayed on your dashboard. Stale data is of no use to anyone. This may seem like a tall order for a simple application. But in the words of Leonardo da Vinci, "Simplicity is the ultimate sophistication." If you spend time upfront carefully determining the audience, type, format, and metrics approach for your dashboard, you can create a powerful, tool that can be used effectively to make faster, data-driven decisions. As a BI solution provider, AllianceTek has helped transform organizations into savvy companies that use BI to monitor their performance, see what’s on the horizon, correct course before problems occur, and pursue new opportunities. We have a team of technologists who stay up to date on the latest trends in technology so they can offer leading-edge BI solutions. Call 484-892-5713 or Contact Us today to learn more about how to build a better business intelligence dashboard for your business.